Adults Ministries at CWC offers groups, events, & activities for every age and stage. Discover the many opportunities to connect with others on a regular basis as you get involved with a group designed for you. For anyone age 18-35, the Young Adults Ministry is a great place to get connected to like-minded young adults. We’re not perfect; simply seeking to be planted, rooted, watered, and fruitful. Join us on Sunday mornings in The Outlet at 9:00 for the “front door” to all things Young Adult. Also, Thursdays at 6:30pm enjoy weekly study groups, and every other Thursday is a group just for married young adults. We care more about a biblical marriage than we do wedding ceremonies. That’s why we invest so much time and resources helping you start marriage well or heal your broken relationship. Marriage at Christ Wesleyan provides multiple classes and small group opportunities, premarital counseling, and on-campus wedding venues. You might also be interested in our Seriously Dating or Engaged course for couples. Marriage at Christ Wesleyan: love for a lifetime. Mr & Mrs is for couples who know better is possible, but may not be sure how to get there. This class is designed to be a safe place to better your communication, conflict resolution, finances, sexual intimacy, roles and responsibilities, discover your love language, and discover the biblical perspective of marriage. Married couples can enjoy small groups together and meet in homes with four other couples for group studies. Contact the church office to sign up for a Marriage Ministry Small Group. 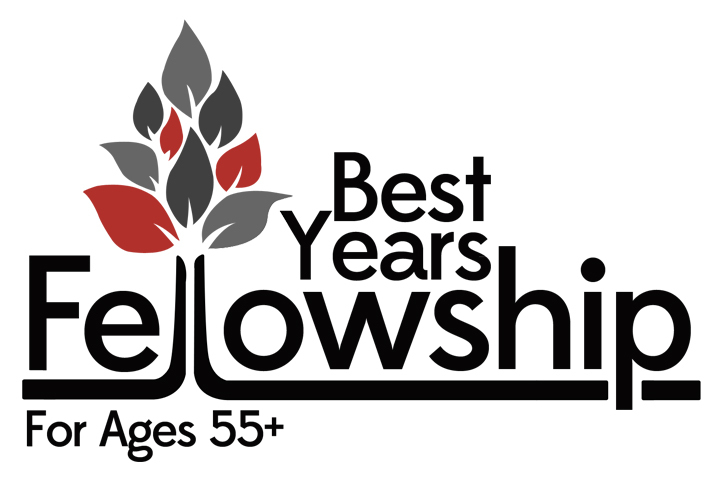 Best Years Fellowship is an active group of adults aged 55+. We have potluck meals, bus trips, scavenger hunts, and special outings. People are often sad to hear they aren’t yet old enough to join the group! God designed us to be a community with one another, which creates a great atmosphere for growth and spiritual development. Growth groups meet throughout the week in a variety of sizes and structures. Our goal is for you to connect in a growth atmosphere that challenges you to step forward in your relationship with Christ. To learn more, click here.